There are 10,080 minutes in a week. I'll just take 5. Tired of hearing people talk about Tim Tebow? You wouldn’t be alone. Even Charles Barkley this week said that he was tired of hearing about the guy. I suppose I can understand why they feel that way. Tebow’s name is all over the news, radio and Facebook. Now when it comes to Tebow talk, I’ve got no room to speak. I have to admit that he’s been the focus of 75% of my conversations over the past week (I even spent most of a day sharing Tebow facts on a persons Facebook wall because they were tired of hearing about him…). People are excited and for that reason, it seems like everyone has something to say about Tim Tebow and the Denver Broncos. 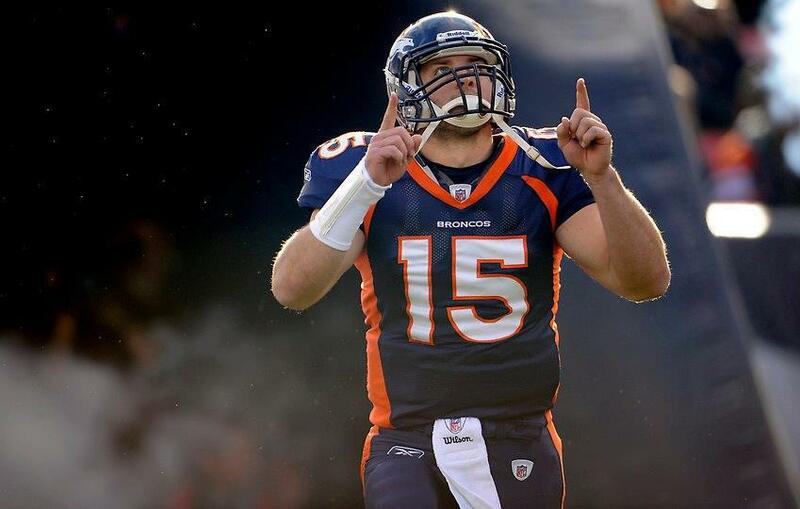 Today, as I was messaging someone back and forth on Twitter about Tebow a thought crossed my mind: Why is it that I have no problem talking to someone about the Denver Broncos and their underdog story but I often have such a difficult time talking to others about my faith in Jesus Christ? I could jump into a conversation with a stranger in order to defend my love for Tim Tebow but could I do the same about my love for God? It was a tough realization for me to come to. For you, it might not be Tim Tebow. However, I guarantee that everyone has something in their life they have no problem striking up a conversation about. Maybe it’s a musical group, a different sports franchise, some movie or your favorite celebrity. Everyone has something they are passionate about. Something they love to talk to others about. Shouldn’t that be how we are with God’s word? In Acts 4, Peter and John found themselves before a group of men who wanted them to get quiet about Jesus real quick. You think Charles Barkley is ready for people to stop talking about Tebow? These men were literally commanding and threatening Peter and John to stop teaching people about Jesus. Now, I like talking about the Broncos but if someone threatened my life, I’d likely stop (though I’d have to be pretty sure the threat was a real one). Peter and John would not be silent though. In verse 19 they said to the other men, “we cannot stop speaking about what we have seen and heard.” Regardless of the threats and despite the commands, Peter and John could not stop speaking about Jesus. They were too passionate and too convinced of the truth! So why is it that we often have a hard time speaking up about Jesus? Is it a lack of passion for His word? Is it because we’re not truly convinced that He is the truth? Or is it because we are just more interested in worldly things than we are about spiritual? I’m not saying that it’s wrong to talk about Tebow (though my friends that are Raiders fans would say it is). I’m not saying we can’t have hobbies and interests that we like to talk about. When those things become all we talk about though, we may have a problem. Trust me, this is a lesson I need to learn just as much as anyone. I hope it is something you will take some time to think about too. This entry was posted on Friday, January 13th, 2012 at 1:41 pm	and posted in Evangelism. You can follow any responses to this entry through the RSS 2.0 feed. Thanks for the encouragement, David. Thank you, Michael! And thanks to your Ministry Tech class for encouraging me to start blogging! Thanks for the eye opener! Time to start thinking of my priorities and what’s truly important at the end of the day.